1000W for Gentle DryingPhilips hair dryer HP8108 creates the optimal level of airflow and gentle drying for beautiful results everyday. 2 flexible speed settingsPhilips hair dryer HP8108 offers 2 pre-selected speed/heat combinations to make it quick and easy to achieve the perfect style. 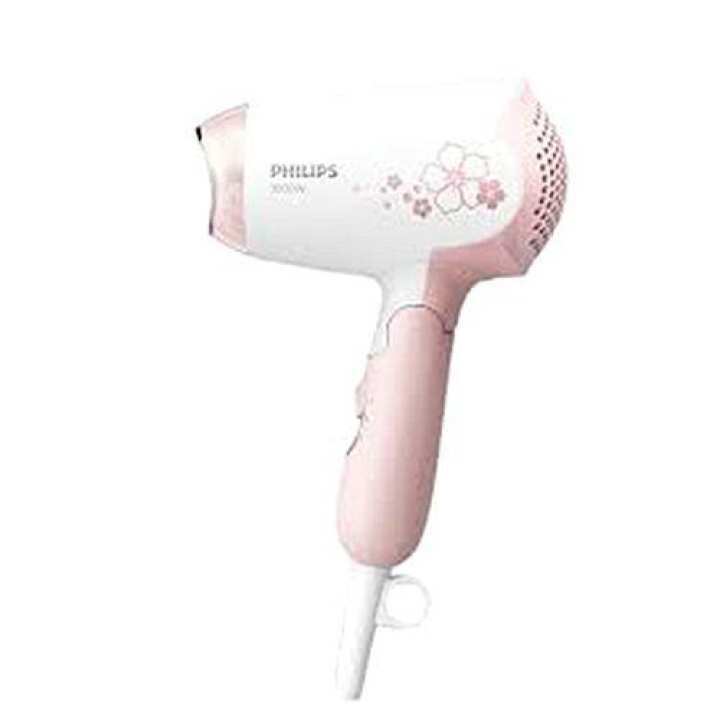 Foldable HandlePhilips hair dryer HP8108 has foldable handle, making it easy to pack, store and take with you anywhere you go. Narrow ConnectorThe connector focuses airflow through the opening to specific areas. This results in better touch-ups or more precise styling to finish your look. Compact designCompact and ergonomic, Philips hair dryer HP8108 benefits from a clever modern design. This results in a dryer that is light and easy to handle yet small enough to store virtually anywhere.